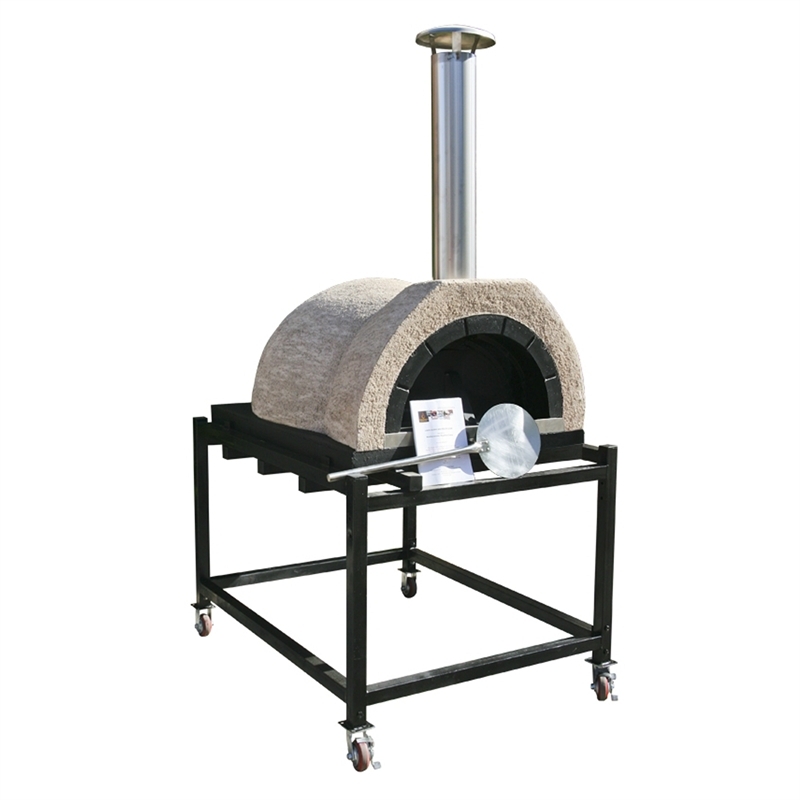 Cook pizza's faster than you can make them on the stylish Amalfi Family Pre-Built Pizza Oven. Arriving fully assembled and rendered, it is a matter of quickly installing the unit in your designated entertaining area. The unit comes with a delivery-friendly temporary steel base with lockable wheels for convenience. 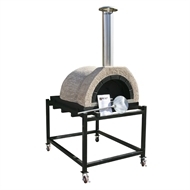 Key features include a stainless steel front floor plate and flue, a durable powder coated door and premium alloy pizza paddle with stainless steel handle. With no cleaning, little maintenance and a variety of uses for the oven including barbecuing, roasting, grilling, smoking and baking breads, it is the ultimate in outdoor entertaining.